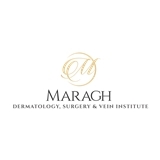 Maragh Dermatology, Surgery and Vein Institute (Ashburn) - Book Appointment Online! Our providers treat a wide range of dermatologic conditions such as acne, eczema, rosacea, psoriasis, skin cancer, sun damage and aging skin. With over 15 different lasers the Shady Grove Dermatology, Laser, and Vein Institute and Northern Virginia Dermatology, Vein & Surgery Centers provide expansive laser service for the treatment of varying conditions including acne, rosacea, scar repair, sun damage aging, stretch marks, unwanted facial and body hair, unwanted fat, cellulite and leg veins. It is our goal to improve the rate of cure of skin cancer by focusing on prevention, early detection and treatment. We emphasize regular skin cancer screenings and utilize photography and mapping when indicated.